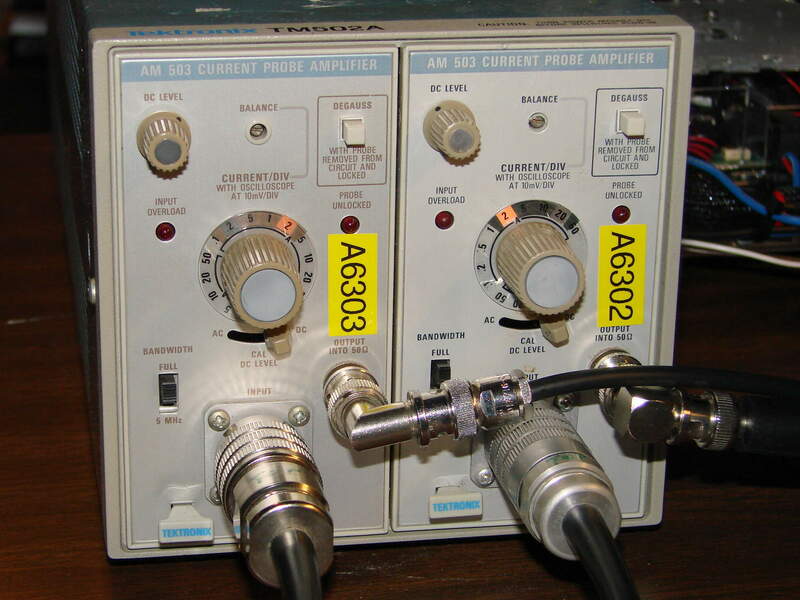 Over the past few months I picked up a pair of Tektronix AM503 Current Probe Amplifiers, plus A6302 20 A and A6303 100 A Hall effect probes. 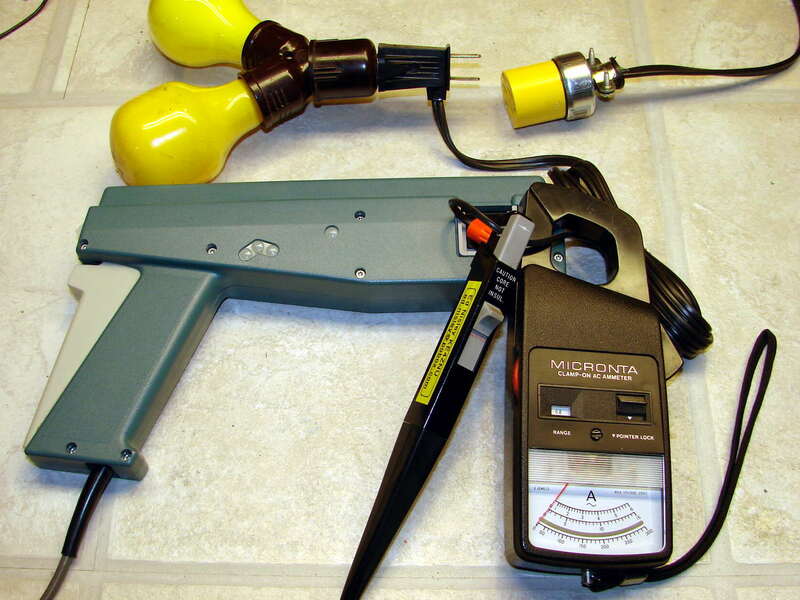 The proper calibration procedures require rather specialized (and, in some cases, custom-built) equipment that I don’t have, but I’ll mostly use these things for non-contact / isolated current measurements where just seeing what’s going on counts for more than absolute accuracy. That’s an old (pronounced “vintage” in eBay-speak) Radio Shack (“Micronta”) clamp-on AC ammeter that, for my present purposes, I can regard as the Gold Standard for current measurement. 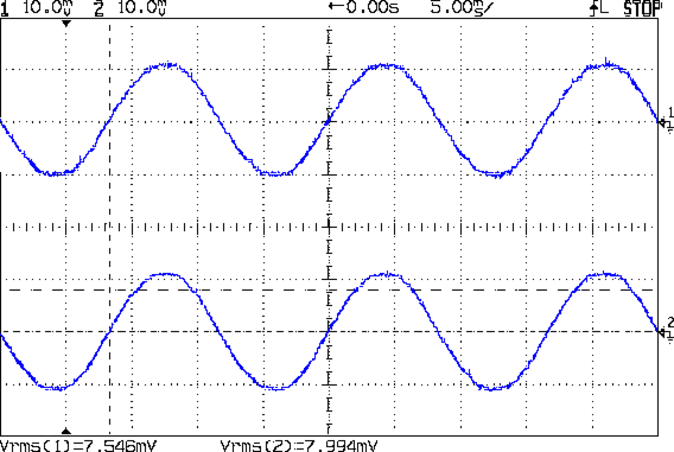 The 200 W resistive load reads 1.6 A, which is pretty close to the 1.7 A you’d expect. The scope says 17.78 mV RMS, which translates to 1.8 A with the AM503 set to 1 A/div. A bit hot, perhaps, but not off by too much. 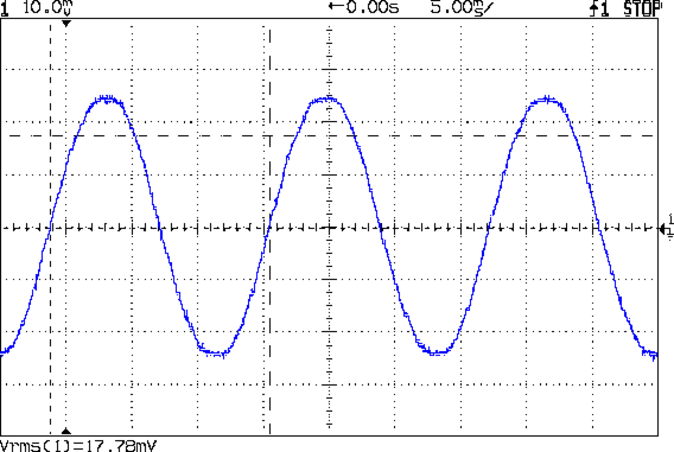 With the AM503 amps set to 2 A/div, 7.546 mV = 1.5 A and 7.994 mV = 1.6 A. The last few digits of those RMS calculations absolutely don’t matter. The overall error (at least for low-range AC) looks to be around 10%, which is certainly good enough for my immediate needs. I doubt that I can gimmick up a square wave current calibration fixture that I’d trust.